After many years of organizing educational workshops for MS Nurses, EXCEMED launched the MS Nurse Club - a portal to educational opportunities for nurses, with the bonus of sharing ideas and experiences with fellow professionals. Enjoy free access to education and debate influencing the world of MS nurses. 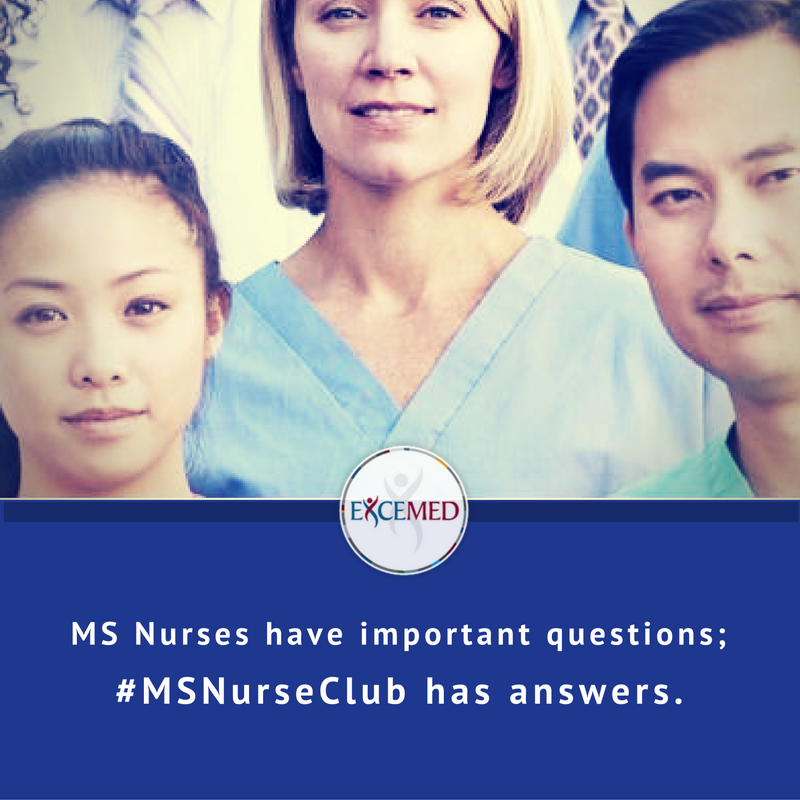 MS nurses have important questions; MS Nurse Club has answers. EXCEMED MS Nurse Club is here to support practical and applicable knowledge on a range of topics in MS care. Accessible, casual, informative tutorial videos that answer some of the most important questions among MS nurses working in today’s MS environment. Clear takeaway messages for MS nurses in 15 minutes or less. MS Nurse Club - how does it work? Because it is important that the MS Nurse Club provides information and learning activities of the highest possible standard, it is being guided by an editorial board. Two of the key members are the MS Nurse Club Ambassadors, Roberta Motta and Colleen Harris. She represents the Italian MS Society on the "Italian Multiple Sclerosis Nurses Society". Now she conducts research regarding the management of urinary dysfunction through the pelvic floor rehabilitation. She is a member at large of the board of IOMSN. Hüseyin Hüseyin is currently Chair of the United Kingdom Multiple Sclerosis Specialist Nurse Association (UKMSSNA). UKMSSNA is the professional membership organization for Clinical Nurse Specialists in multiple sclerosis, and provides support and information for other health and social care professionals with an interest in the care of people with MS in the United Kingdom. Colleen, along with several of her MS nursing colleagues from North America, Europe, and Australia, was involved in the creation of the International Organization of MS nurses (IOMSN) and is one of the past presidents of this organization. She has been active in committee and project work with the Consortium of MS Centers (CMSC) for 25 years and was president of this organization from 2007-2009. Two video lectures from the 2014 MS Nurse International workshop held in Boston, USA in September focusing on the developing role of MS nurses, are now available. A new video lecture Cognitive rehabilitation in MS, recorded at the MS Nurse International Workshop held in Boston , USA in September 2014 is now available on the MS Nurse website.